As per Allsportspk readers request as and when any of the ranking is announced it is being published. Currently, only Men’s cricket rankings of all three formats have been updated. 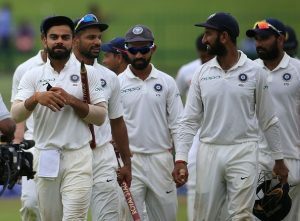 India top the test rankings with a major lead over South Africa and Australia who are placed 2nd and 3rd respectively. Sri Lanka managed to retain their rankings after their batsmen held their composure on the 4th day of the 2nd test to drew the series with West Indies. West Indies also remained at the 9th position, however had they won the series they would have experienced an upgrade in their rankings. 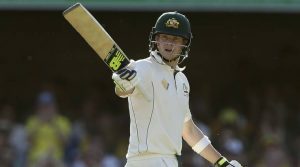 Steve Smith remains at the top of the test rankings followed by Virat Kohli and Joe Root who are placed at 2nd and 3rd respectively. Kusal Mendis upgraded his rank from 19th to 16th position, courtesy of his recent performances against West Indies. Kraigg Brathwaite also experienced an upgrade in Test rankings and this move upgraded the rankings of Lokesh Rahul, Rahane, Shakib and Quinton de Kock respectively. 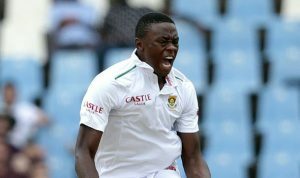 Kagiso Rabada is placed at the top of Men’s bowlers test rankings followed by James Anderson and Ravindra Jadeja who are placed 2nd and 3rd respectively. Shannon Gabriel superb performances allowed him to jump to the 12th rank in the Men’s test bowlers cricket rankings. The Sri Lankan Rajitha placed himself at the 44th position after displaying an exquisite show of fast bowling against West Indies. Shakib Al Hasan remains at the top followed by Ravindra Jadeja and Ravichandran Ashwin who are placed 2nd and 3rd respectively. Jason Holder recent heroics in the last test against Sri Lanka earned him the 6th spot in the Men’s Test all rounder cricket rankings. 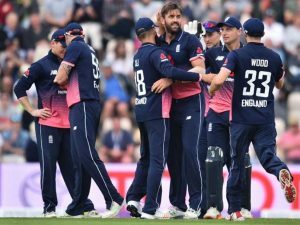 England bashed Australia in their recent ODI series and extending their lead even further after clean sweeping their rivals. India and South Africa remained at the 2nd and 3rd position respectively. Pakistan benefitted from Australia’s ODI series loss as they broke into the Top 5 ranks and are now placed 5th in the Men’s ODI Team cricket rankings. Virat Kohli remains at the top of the Men’s ODI cricket rankings. Babar Azam replaced AB de Villiers to become the 2nd ranked player followed by David Warner who is placed 3rd in this category. Joe Root’s average performances degraded his rank as Ross Taylor broke into the Top 5 ranks. Johnny Bairstow centuries helped him to upgrade his rank from 16th to 11th. Meanwhile Jos Buttler’s performances help him jump 3 ranks to place him at the 16th position. 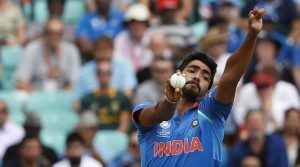 Jasprit Bumrah remained at the top of the Men’s ODI bowling cricket rankings followed by Afghanistan’s Rashid Khan and Pakistan’s Hasan Ali. Josh Hazlewood experienced a downgrade in rankings as Trant Boult saw an increase in his ranks. Adil Rashid broke into the top 10 after his recent performances against England. Moeen Ali’s superb spin display against Australia put him in the Top 20 Men’s ODI bowling cricket rankings. Shakib Al Hasan remained at the top of the Men’s All-rounder cricket rankings followed by Mohammad Hafeez and Mohammad Nabi who are placed 2nd and 3rd respectively. Mooen Ali’s all-round show allowed him to break into the Top 5 ranks and is now placed 5th in the all-rounder cricket rankings. Pakistan remained at teh top of the table after their series win against Scotland. Meanwhile, Australia and England remained at the 2nd and 3rd position respectively. 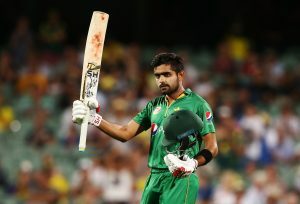 Babar Azam ramained at the top of the Men’s T20 rankings followed by Colin Munro and Glenn Maxwell who are placed 2nd and 3rd respectively. 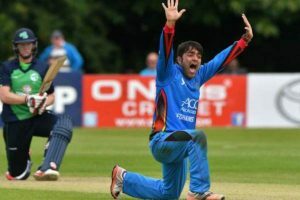 Rashid Khan remains at the top of Men’s T20 bowling rankings followed by Shadab Khan and India’s Yuzvendra Chahal. In fact, all top 9 bowlers in T20 rankings are spinners. 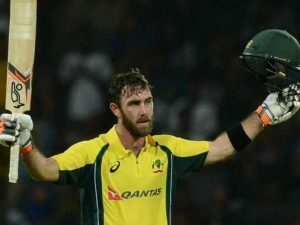 Glenn Maxwell tops the Men’s T20 all rounder cricket rankings followed by Afghanistan’s Mohammad Nabi and Shakib Al Hasan who are placed 2nd and 3rd respectively. Next articleAllsportspk Gymnastic Snippet: Springboard A Bit To Springy!